Social Media Club the world’s largest community of social media professionals and educators will have its global network of Facebook fan pages powered by North Social, a leading developer of Facebook applications for brand Timeline pages. 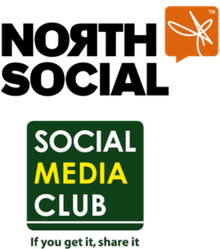 Social Media Club’s flagship Facebook page is already powered by North Social. In the coming months, Social Media Club's largest and most active chapters will roll out North Social applications on their Timeline pages as well as collaborate with North Social on education initiatives. North Social’s powerfully simple suite of Facebook apps for brand Timeline pages enable any business, big or small, to run highly efficient social media-based promotions. Brands, individuals and organizations seeking to grow their Facebook fan base and engagement get access to their entire suite of 18 applications, starting at only $19.99/month. North Social also works with thousands of agencies and consultants, giving them access to enterprise tools, which enable them to provide valuable social media marketing services to their clients. North Social provides one of the largest platforms of simple Facebook apps for creating and managing custom Timeline pages. Over 120,000 North Social apps have been installed, including by such global brands as Electronic Arts, AEG Live, 1.800.Baskets, Virgin, Greenpeace, and the Dallas Mavericks. In addition, the North Social team has developed some of the most heavily used custom applications to date on Facebook. In February 2011, North Social was acquired by Vocus Corporation, a Maryland based provider of marketing and PR software. For more information about their software and custom app development services, please visit http://www.northsocial.com. Vocus (Nasdaq: VOCS) is a leading provider of cloud-based marketing and PR software that helps businesses reach and influence buyers across social networks, online and through the media. Vocus provides an integrated suite that combines social marketing, search marketing, email marketing and publicity into a comprehensive solution to help businesses attract, engage and retain customers. Vocus is used by more than 120,000 organizations worldwide and is available in seven languages. For more information, please visit http://www.vocus.com or call (800) 345-5572. Social Media Club (SMC) hosts conversations that explore key issues facing professionals and organizations as technologies transform the way we connect, communicate, collaborate and relate to each other. SMC’s primary missions are focused on expanding digital media literacy, promoting standards based technologies, championing ethical behavior and sharing our collective knowledge and insights with each other and the world. As the world’s largest organization of Social Media Professionals, SMC reaches leading influencers and social media enthusiasts in face-to-face meetings held in over 300 cities in 52 countries around the world. As part of our dedicated efforts to improve digital media literacy, our SMCEDU.org program is striving to improve the quality of social media education in universities. Social Media Club is a not-for-profit based in San Francisco, CA.